Various Indian media have published a rumor about Manisha Koirala initiating the paperwork of divorce filing. 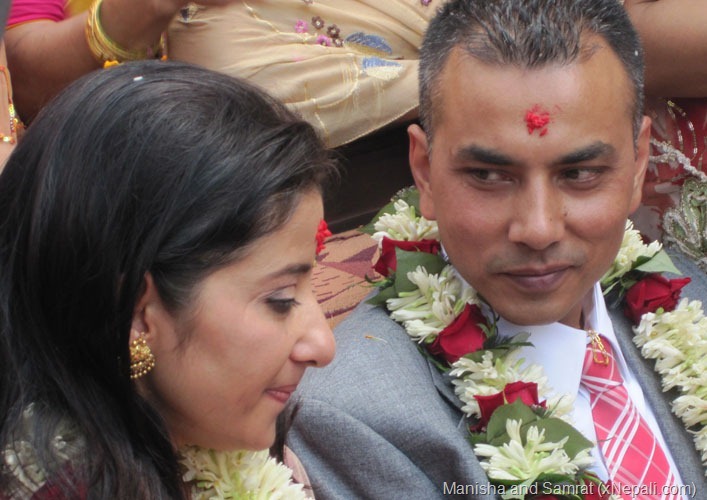 In the view of past events, we can confidently say that the marriage between the Bollywood star Manisha Koirala and Nepali businessman Samrat Dahal is not working. That is the reason, people tend to believe every divorce rumors of the couple. In the past two cases starting in the November of 2010 Manisha told that she wanted a divorce. That was after five months of their marriage. Although, some claimed that the media exaggerated the rumor and Manisha also denied starting the rumor in the first place, she seem to have always told what she wanted the world to know. A similar case repeated after a year, in August of 2011, announcing, "My husband has become my enemy." At that time, we remembered a post about various affairs of Manisha before marriage and concluded that she indeed is "commitment-phobic". In the past, we thought it would be better if they could live together. After analyzing the situation, now we come to the conclusion that it is better for both Manisha and Samrat to get a divorce and start to live their lives peacefully. When the array of misunderstandings and patching starts to grow longer, it is not worth lengthening the relationship. Yes, the couple looks so ‘made for each other’, a ‘perfect fit’ and so on… but looks can be deceiving. Good luck Manisha and Samrat! This entry was posted in Artists and tagged divorce, Rumor, Samrat Dahal. Bookmark the permalink.